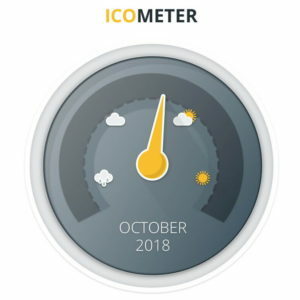 During HydroMiner’s successful ICO in fall 2017, more than US$ 3 million were raised. The funds were used to establish a cryptocurrency mining operation in Austria that uses clean hydropower. After this initial success, HydroMiner is ready for the next step: H3O. H3O is a compliant security token. The aim is to provide the buyers in this presale with a token that allows them to participate directly in the company’s future development. Moreover, this new kind of security token will be tradable on a variety of crypto exchanges once listed. HydroMiner IT-Services GmbH plans to apply for a listing on the AIM stock exchange in London (or on another comparably regulated stock exchange in Europe) preferable already by the end of 2018 or the first half of 2019. A successful listing would help to broaden the company’s investor base, improve the company’s international visibility and reputation, and increase the level of equity capital, thus raising funding for further operations. Investors will have the chance to be part of the green mining revolution that HydroMiner is pursuing. Through participating in the presale, the H3O token investors will be able to benefit from a profitable and sustainable business through a new form of security token that HydroMiner has designed for their investors. Due to regulatory requirements, the exact details and timing of the upcoming main ICO are subject to the prior approval of a capital market prospectus by the Austrian Financial Market Authority (FMA). The main ICO requires a published capital market prospectus, which was approved by the FMA no later than one banking day before the public offering starts. It was a long and challenging way to the approval—it took almost one year and a lot of pioneering work from the HydroMiner team, our legal advisors Stadler Völkel and the financial regulator in Austria. First approved capital market prospectus for a security token offering in the European Union goes to HydroMiner! Today at 20:15 the @ORF #bitcoin documentation featuring HydroMiner will be aired on @3sat ! Today we had a great interview for the upcoming @ORF and @3sat #documentation about the history of #bitcoin . Amazing to be part of that!